Although a prostate treatment may sound like a strange choice for treating hair loss, in fact Dutasteride is one of the top choices of medication for those who are losing their hair. Although this drug has not yet been approved as a hair loss treatment in Europe or the United States, it has already been given approval in South Korea and Japan. While it has been shown to be effective, there are some downsides to its use that may put some people off using it. 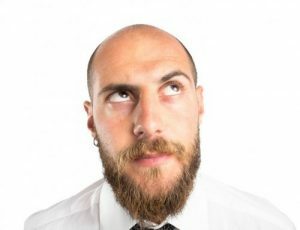 Men who have pattern baldness have high dihydrotestosterone levels – a hormone which is made by an enzyme called 5-alpha reductase from the body’s natural testosterone. Dutasteride works by stopping the 5-alpha reductase enzyme and blocking the dihydrotestosterone from forming. This helps to prevent the hair loss that is associated with high levels of the hormone. It increases the amount of hairs in the scalp, thus filling in any thin areas. While Dutasteride will have different results for each person, usually its users will never re-grow all of the hair that they lost. Recent studies have shown that Dutasteride can be more effective when it comes to hair regrowth than other oral medications. Patients who take the 0.5 mg pill have reported fuller and thicker hair, however other users have reported some worrying side effects. Still others found that the pills had no effect at all, with no extra hair growth experienced. One potential alternative to oral Dutasteride is a mesotherapy scalp injection treatment which injects the Dutasteride directly into the affected area. One of the advantages of this treatment appears to be that the hormone levels are limited solely to the scalp without any side effects being experienced, and initial findings appear to be quite positive as to the efficacy of the results. 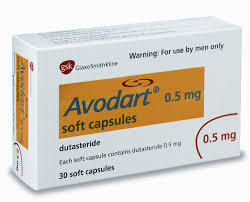 While some men who are extremely distressed by their hair loss may be happy to risk the potential side effects of taking Dutasteride in an attempt to slow down or halt the problem, many others would rather try a less risky treatment. An instant hair thickener is one possible alternative with no unwanted side effects which can restore the effect of a thicker and fuller head of hair. Quick and easy to apply, it is one of the easiest and most convenient ways to help boost confidence and improve appearance. In today’s society, the term ‘natural’ seems to denote that whatever the term is describing is also ‘good’. While it may be true that many natural things are good for you, the two terms do not always equate to being the same thing. There are many dangers found in nature, and just as we have several substances that are beneficial to our health, there are also many that are detrimental. The same goes for hair loss treatments. So-called hair loss experts will tout many big ideas about what types of natural remedies might help a person suffering from hair loss, but they often make these claims as blanket statements without considering the individual needs and situations of the people they are giving their information to. There are also many theories which come from the distant past which all seem to have a solution to the problem of thinning hair. However, these old ideas are generally based on old wives tales, hearsay and home-based concoctions- anything but any actual scientific proof. There are a plethora of natural remedies that abound on the internet, and while most are harmless, some of them inevitably come with the risk of causing much more harm than good to your hair. One example of a natural hair treatment that can have adverse effects, for people who are already suffering from certain conditions, is called Amla. 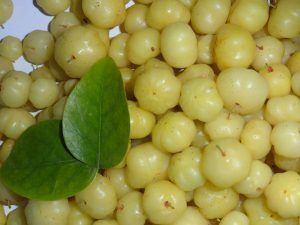 Amla is a very common ingredient found in natural hair loss remedies, and while it may have some positive effect on hair growth of perfectly healthy people, Amla is also linked to lowering blood sugar levels, slowing liver functions, and increasing blood flow. That means anyone with liver disease, diabetes, or any other condition where proper blood flow is a factor in the severity of it, must approach this remedy with caution. Another common idea that people have is that the fenugreek plant can help curb hair loss. There is currently no scientific data to support those claims, but there are plenty of studies which have been done to show that fenugreek can be harmful. Fenugreek can have adverse effects on the stomach when taken in large quantities which can be especially harmful for pregnant women as it can cause the uterus to contract. Fenugreek is also linked to lowering blood pressure so should be used with caution when used in conjunction with certain prescription medications and for those suffering from blood disorders. If you are planning on trying this ‘miracle cure’, it is probably wise to review your strategy and seek medical advice. Although most of the natural remedies that are advertised to help with hair loss are ineffective and sometimes dangerous, there are other natural things that you can do to rule out the possibilities of self-inflicted hair loss. It is true that there isn’t much that we can do about genetic, male-pattern baldness, but when genes aren’t responsible for the condition there are a few things that can be done. For one thing, when hair loss is caused by dietary needs or stress, the problem can be reversed by correcting the underlying problem that is causing the condition. When hair loss occurs as a result of scalp-related diseases or excessive dryness, there are many treatments that can help by (re)creating a healthy environment for which hair can grow. By finding the underlying cause of your hair loss, you will be much more successful in treating your condition. 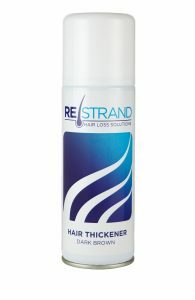 For a completely safe solution to hair loss please see our hair thickening spray which helps to hide hair loss. Hair loss is an extremely common problem for both men and women and it can be very troubling when experienced first-hand, especially if you aren’t prepared or expecting it to happen. With hair loss an issue in around 40% of men in their mid-thirties, it is important to know that you are not alone when it comes to hair loss. Of course, hair loss is also a serious issue for women but in this piece we are mainly focusing on male hair loss and the role of testosterone. Those suffering from hair loss often look to find the primary reasons behind it, but there is a lot of mis-information around concerning why and how hair loss occurs. With hair loss being something that around 80% of men will eventually encounter, even 40% of women by the age of 40 will suffer from thinning hair, it is important to get the facts straight. There are a number of reasons why hair loss occurs and in some instances the effects aren’t always permanent. Certain cases of Alopecia, along with instances of Anagen Effluvium and Telogen Effluvium, are generally considered to only be a temporary cause of hair loss, with hair able to grow back normally in a period of months. Male pattern baldness however, is a hereditary condition that is present in a large number of men. This permanent condition will eventually lead to significant hair thinning and a receding hair line. In some cases this can eventually lead to complete baldness. With the majority of cases of hair loss being caused by male pattern baldness, this is where most of the misconceptions lie and the truth about testosterone’s role becomes murky. One of the biggest myths about hair loss is that it is the direct result of testosterone levels, a myth that many use to explain why women don’t suffer from hair loss to the same extent as men do. Men and women both contain varying levels of the testosterone hormone along with the oestrogen hormone. While testosterone is a factor in hair loss, the testosterone levels in your body aren’t the defining reason why hair loss may be becoming a problem, but they do play an important role. It is not testosterone itself that can cause hair loss, but a molecule produced by testosterone, known as dihydrotestosterone (DHT). DHT is produced when testosterone becomes synthesised with an enzyme called 5-alpha reductase, which is made naturally in the body. Over time, DHT makes hair follicles reduce in size, activating the thinning of hair until the follicles close completely and no more hair is able to grow. DHT plays many important roles in the maintenance, protection and regulation of the human body, with hair loss being a potential negative result of its purpose. The process required to form DHT only happens with around 5% of the testosterone in the body. 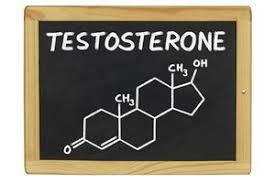 While this does mean that the higher the testosterone levels, the more chance that DHT will be produced, it is again, not a defining factor. Only people with a genetic predisposition to the negative effects of DHT will be prone to the effects of DHT production with the result of hair loss. If you are experiencing hair loss our hair loss concealer spray could provide you with the solution. The thinning of hair, for both men and women, is nothing new. This has been occurring for thousands of years, but for those who do not find their bald patches or thinning regions overly dignified, ways to combat the problem have only relatively recently become viable. Tea. Yes, the quintessentially English beverage that is enjoyed in the thousands of cups-full, daily, was, in 19th-century England used as a hair loss treatment. Tea was used by people suffering from thinning hair by rub “cold India tea”, teamed with wedges of lemon, into their scalps. Did it work? We’re pretty sure you can guess the answer, which was a resounding no! 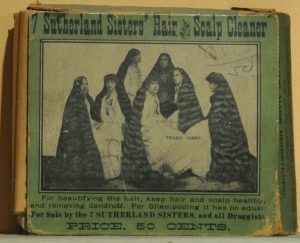 For those enduring hair loss during the times of the Ancient Egyptians, there were, believe it or not, remedies on offer. The Ebers Papyrus, a medical text that dates as far back as 1550 B.C., highlights a host of recommended ‘cures’. A mix of fats from a tomcat, snake, hippopotamus, crocodile, and ibex was on option. Another was to use the leg of a female greyhound which had been sautéed in oil with the hoof of a donkey. Thirdly, they had the option to try a mixture of porcupine hair which was boiled in water then applied to the scalp for four days! Again, none of these were overly successful. Hippocrates, a renowned historical figure, who was an ancient Greek physician born around 460 B.C., is regularly considered as the father of Western medicine. He personally suffered from male pattern baldness, and so prescribed himself, along with others with the same issue with a topical blend of spices, beetroot, opium, horseradish, and pigeon droppings. And guess what? Hairlines did not stop receding, post-potion. When the famous dictator of Rome started losing his hair, he gave everything a go in order to try and reverse the effects of his balding. To begin with, he grew his thinning hair long at the back of his head and brushed it over his scalp in what was an early version of the comb-over. Following the failure of this idea, his lover Cleopatra suggested a home remedy consisting of horse teeth, ground-up mice, and bear grease. As you would expect, this did little for hair recuperation, and so the Roman dictator took to covering his scalp with a laurel wreath, which is widely seen in historical pictures of the leader. Popular in ancient times, hairpieces were revived during the 17th century by royals. King Louis XIII of France was one such royal who sported a toupee in order to hide his balding scalp. Massive wigs, often featuring elaborate curls that had been peppered with white powder, soon became all the rage among the noble figures in England and France. Wealthy American colonists took on the trend of donning this accessory as a status symbol up until the American Revolution, which killed off fashions with monarchy-inspired roots. In the United States, the 19th century witnessed the emergence of so-called “snake oil” salesmen. These people were, to every intents and purposes, swindlers masquerading as doctors who peddled sham potions that promised to treat all that ails you. 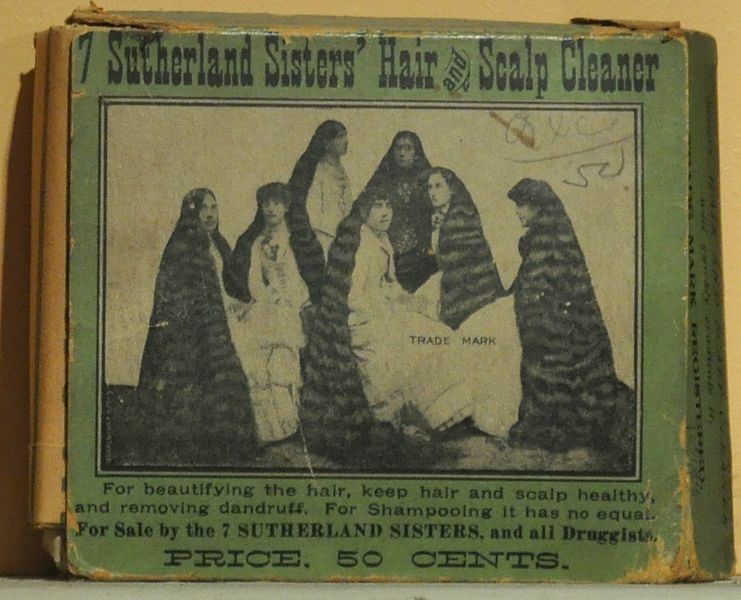 A number of these tonics were cited to be formulated to reverse hair loss, including an ointment called Seven Sutherland Sisters’ Hair Grower, inspired and promoted by a family of sideshow performers with cascading locks. Image: Joe Mabel under Creative Commons.